The brand new Adversary Mode In and Out launches this Tuesday, May 3rd - an intense new take on Capture style team gameplay where Attackers must try to steal all 8 packages of contraband out from under the watchful eye of well-armed Defenders. 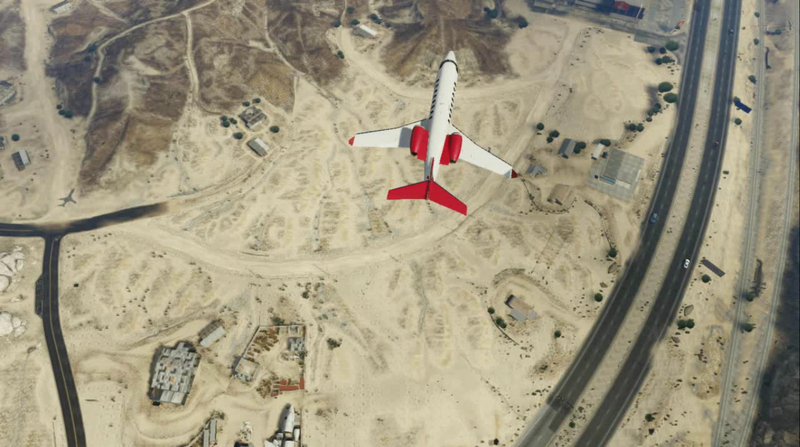 Welcome in this new mode with a week-long Double GTA$ & RP Adversary Modes Playlist (which will feature all three In and Out maps from Tuesday through to Thursday May 5th) and special Ammu-Nation discounts! 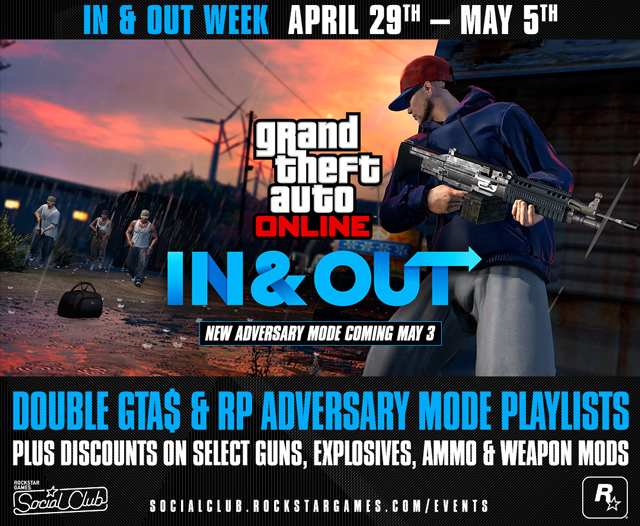 In & Out Week, New Adversary Mode Tuesday - What's that? You need another week of bonuses and discounts? You got it! Prepare for the new In and Out Adversary Mode coming this Tuesday.